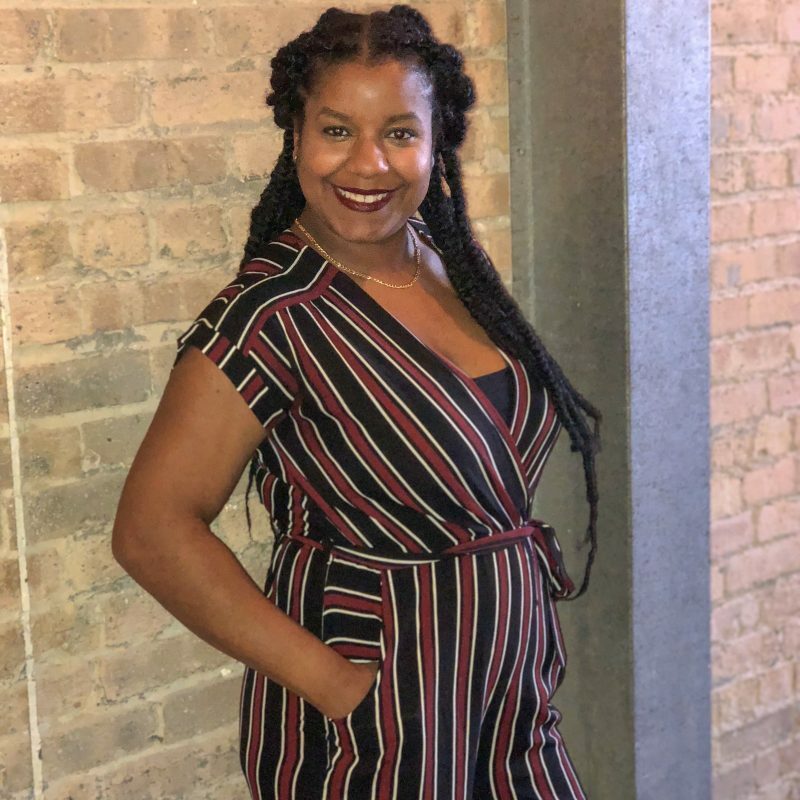 I had the pleasure of being nominated for the Liebster Award by another awesome Mama blogger, The Joy of Momming, last week. I love reading her posts about her little one, and am extremely thankful for the nomination! 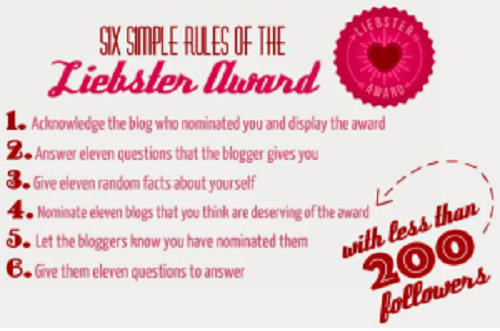 Here are my questions and answers for the Liebster Award. I started blogging because I love to write. One of my lifelong goals is to write a book or two. One of them being a children’s book. Also, once I started my own family, I realized blogging about the memories is a great way for family and friends who live far away to keep up with us, and for my daughter/future children to read when they get older. I was a “Wireless Expert” at Best Buy. 5. Pick one word to describe your blog? I would go to Italy. Everything about Italy looks beautiful, historic, and romantic. This is a tie: My 3rd grade teacher Ms, Coughlin & 4th/5th grade teacher Ms. Israel. I see myself as a mother to at least 2 children, based in California (my husband is in the Air Force), running my homelessness organization, and a published children’s author. 9.Who would you say has been the most influential person in your life? The most influential person in my life is my Grandmother. She has taught me and still teaches me the importance of love and forgiveness. I would want to be a dog who is part of a loving family. What’s better than sleeping, eating, and playing fetch with awesome people for a lifetime? 1. My Grandma saw my name on the credits of the show “In the Heat of the Night” and suggested it to my Mom. My Uncle Tony wanted to name me Alexis. So that’s how I got the name Brienne Alexis. 2. My absolute favorite season is Fall, but my favorite time of year is the holidays (Thanksgiving, Christmas, NYE). 3. I love to do DIY/crafting projects. Pinterest is what got me started and made me realize how much I enjoy it. 4. I am the oldest of 3 girls on my Mom’s side and the oldest of 2 siblings on my Dad’s side. So basically I like to be in charge haha. 5. I come from a HUGE family. My Grandma is one of 13 children (11 girls and 2 boys) I wouldn’t trade it for the world and want to have a fairly large family myself. 6. Speaking of large family, I would love to have one more child of my own, and then adopt two siblings so they don’t have to be split up. I want 4 kids. 8. I absolutely LOVE food. Outside of wanting to travel to see and explore different places and culture, I want to research and map out the best food places lol. 9. My favorite artist is Stevie Wonder. It’s Stevie Wonder- does he really need an explanation as to why he’s the best? 10. One of my lifelong goals is to start an organization to help clothe, feed, and help the homeless get back on their feet. 2. Who is your favorite music artist? 3. What do you think is your best characteristic? 4. What would be your ideal personal relaxation day? 5. Who would you consider to be your #1 role model and why? 9. If you could change one thing about your life what would it be? 11. If you could take a free trip anywhere in the world where would you go? Congratulation and Thank You so much Brienne, that was very sweet and kind of you.